Pharmacy technicians assist licensed pharmacists in the dispensing of medication. They ensure that the right medications get to the right patient at the right time, so they must have excellent mathematical and analytical skills. Pharmacy technician programs help students develop the skills to assume an active role in the day to day operations of the pharmacy. 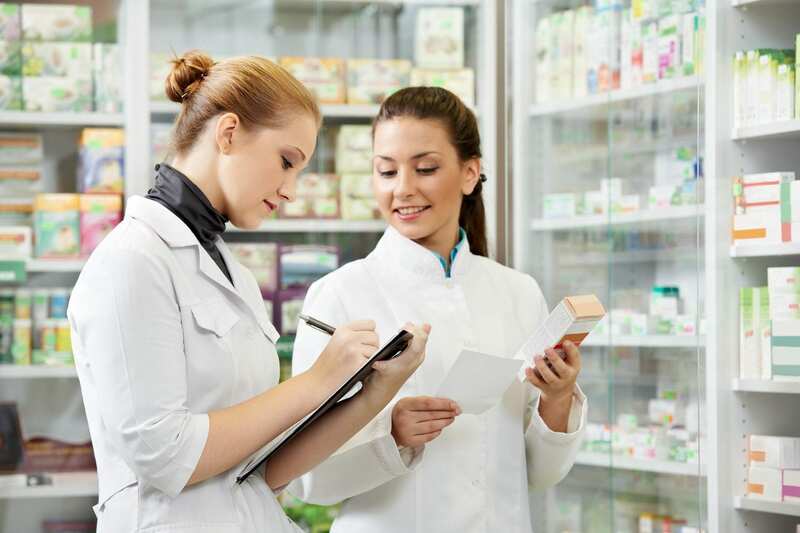 Technicians work in hospitals, drug stores, community pharmacies, and mail-order pharmacies. Employment opportunities also exist in long-term care, home infusion pharmacies, insurance companies, and clinics. The state of Maryland requires pharmacy technicians to be certified. Graduates of a pharmacy technician program must pass a background check to register with the Maryland Board Pharmacy. 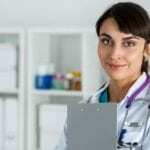 The job outlook for pharmacy technicians is positive. According to the Bureau of Labor Statistics, the job growth for pharmacy technicians is faster than average for all occupations. The opportunities are best for those who obtain national certification. The pharmacy technician program at Prince George’s Community College prepares students to dispense medications under the direction of a licensed pharmacist. The five-month program includes 160 hours of clinical practicum at a community or hospital pharmacy. The program is approved by the Maryland Board of Pharmacy. Graduates are prepared for success on the Pharmacy Technician Certification Board Exam to obtain national certification. Interested persons must register the theory and clinical experiences separately. Participation in the clinical experience is contingent upon the outcome of a criminal background check. PGCC offers small class sizes, affordable tuition, and on-site lab. The program admits new students in the Spring and Fall Semesters. Tuition for the program is $1,320. The program is approved for VA benefits. Howard Community College prepares adults for a career as a pharmacy technician in less than one year. The program meets the requirements of the Maryland Board of Pharmacy and admits new students twice a year in the fall and winter semesters. Graduates will be prepared to sit the National Pharmacy Technician Certification Board exam and apply for registration with the Maryland Board of Pharmacy. The program is 300 hours: 140 hours of theory and 160 hours of clinical practicum covered in five to six months. Students will earn 30 CEUs upon completion of the program. Classes meet Tuesday and Thursday evenings from 6:30 pm to 9:45 pm and Saturdays from 9:00 am and 4:00 pm. Course topics include drug administration, prescription reading and interpretation, measurement systems, pharmacy law, medical terminology, billing and reimbursements, inventory control, basic pharmacy calculations and conversions, generic and brand name drugs, and drug classes and uses. Through externship partnerships, students will complete a minimum of 20 to 25 hours a week at a local CVS, Harris Teeter, Howard County General Hospital, and Vitascript Compounding Pharmacy. Students must complete a criminal background check – the cost is $65 to $70. The instructor will provide guidelines for completing a drug screen. Students must take and pass a drug screen – the cost is $65. Tuition and fees cost $2,979 for the theory training and externship. The Pharmacy Technician program at Fortis College covers 780 clock hours over a period of 36 instructional weeks. The program provides students with a solid foundation in the fundamentals of pharmacy operations and terminology to secure employment as an entry-level technician. In addition to the classroom lectures, students will receive hands-on practice in multiple pharmacy settings, such as hospitals, retail pharmacies, and long-term care. During the externship, students have an opportunity to apply the knowledge gained in classroom. Course topics include introduction to health professions, medical terminology, fundamentals of pharmacy, drug classification systems, and mathematics for pharmacy technicians. Other topics include pharmacology and pharmacy technicians, intravenous admixtures and aseptic compounding, pharmacy practice and principles, and certification preparation and career development. Tuition costs $15,325. Books and supplies cost an additional $921.